Chlorella and spirulina are both types of algae that are commonly marketed as supplements. Chlorella is a form of green algae, and spirulina is a type of blue-green algae. Chlorella is a rich source of chlorophyll, and spirulina provides a variety of proteins, vitamins and minerals. Supplement manufacturers often combine chlorella and spirulina in products marketed as detoxifying supplements. 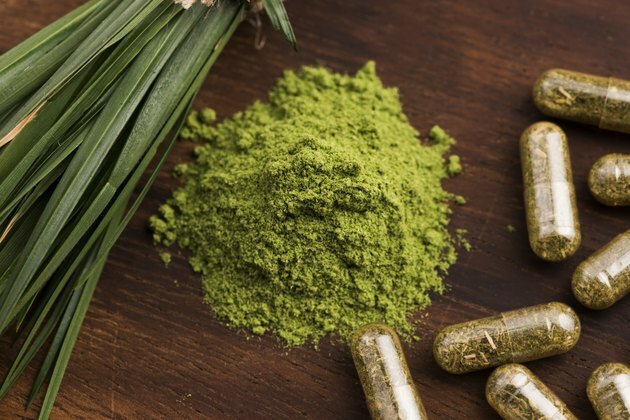 While both chlorella and spirulina are generally considered safe for adult consumption, taking detox supplements with chlorella and spirulina may cause a variety of symptoms. Chlorella and spirulina manufacturers promote their ability to detoxify the body by absorbing toxic heavy metals. Unfortunately, while there's no evidence that ingesting either algae helps detoxify the body, both do absorb any heavy metals in their natural environment. The National Institutes of Health warns that if you consume chlorella or spirulina harvested from a polluted source, you may consume toxic heavy metals. Spirulina may also contain microsystins or potentially deadly bacteria that can affect liver and central nervous system function, according to the State of Washington Department of Ecology. Phenylketonuria is a genetic congenital inability to metabolize the amino acid phenylalanine. When phenylalanine builds up in the body, it can cause irreversible brain damage in infants and behavioral disorders and seizures in older children. Spirulina is a rich source of many amino acids, including phenylalanine, and should be strictly avoided by anyone suffering from phenylketonuria. Proponents of both chlorella and spirulina tout their supposed immune-boosting properties, but not everyone benefits from increased immune function. The University of Maryland Medical Center warns that people suffering from autoimmune diseases, where the immune system attacks healthy cells in the body, may experience an increase in disease activity if they take cholella or spirulina. Common autoimmune diseases include rheumatoid arthritis, lupus, multiple sclerosis and pemphigus vulgaris. While non-contaminated spirulina appears safe for adult use, chlorella can cause allergic reactions, including hives and rashes. Chorella can also cause significant gastrointestinal discomfort, including gas, abdominal cramping, constipation, diarrhea and nausea. One-third of those who try taking chlorella find the gastrointestinal effects too severe to continue use. Fatigue, irritability and lethargy are other common symptoms. Chlorella also contains high levels of vitamin K, which can interact with blood-thinning medications.